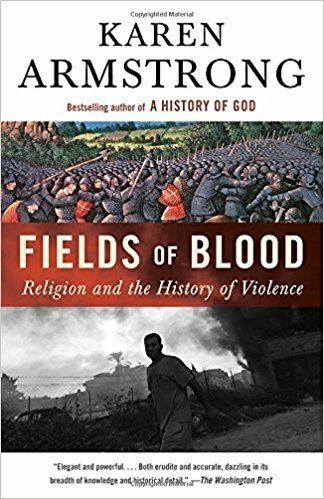 A tour de force from Karen Armstrong this book covers religion and the history of violence from 1000s of years before Gilgamesh through 2015. Although she acknowledges the many strong links between religious groups and violence, she traces the origin of human violence back to the transition from the time of hunter-gatherers (who “could not afford the organized violence that we call war, because warfare requires large armies, sustained leadership, and economic resources that were far beyond their reach”) to the time of the first agrarian societies, emerging between 8500 BCE and the 1st century CE (“with agriculture came civilization; and with civilization, warfare”). Wealth, and the desire to have it, and therefore the pattern of a powerful few ruling a subjugated majority in human civilization, is what has, she argues, much more than religion per se, made human life so violent. Warfare had become a fact of human life, and like every other human activity, it had always had a religious dimension.